We are located at 1343 Route 44, Pleasant Valley, New York 12569, just over the Poughkeepsie/Pleasant Valley border. Our teachers are experienced musicians, artists, and actors who enjoy sharing their talents with the children that they teach. Teachers are carefully chosen and trained to facilitate our programs. Through experience and hard work, we have created a lot of educational methods and materials that are unique to Renaissance Kids, Inc.
Do students have any opportunities to perform or exhibit their artwork? Yes. Performances are not mandatory, but they provide an excellent opportunity for students to strive for a goal and share their talents. We hold two instrument recitals and one musical play performance per school year. We also have a performance at the end of each week of summer camp. Piano students have the opportunity to participate in yearly National Piano Playing Auditions held by the National Guild of Piano Teachers. We also have our art students exhibit their work. Many of our art students have also participated and won awards in local exhibits, such as the Dutchess County Fair, and the New York State "Reflections" Program at our local public schools. 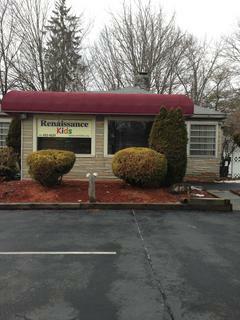 Renaissance Kids, Inc. has been in business since January 2005. We began as a small studio, originally occupying about 400 square feet in the Cunneen-Hackett Arts Center in the City of Poughkeepsie. In 2011, we moved to a larger facility, in Wappinger Falls. We are now in Pleasant Valley, New York as of January 2, 2018. How can I sign up my child for classes or private lessons? For all group classes, you can email your completed Registration Form to us at renkidsbilling@gmail.com or call us at 845-452-4225. For private lessons, please call to schedule your child.